#1 Data Recovery service in Kochi. Kochi, formerly Cochin, is known as the commercial capital of Kerala. It is the largest city and the largest urban agglomeration in Kerala. Our Kochi data recovery lab is located in Edappally, which is a major business hub in the state. Happy Customers Kochi offers a wide range of data recovery services for both businesses & individual purposes. We cater to individual and corporate clients for recovering external hard disk drives, Desktop/Laptops, flash drives, memory cards, and mobiles phones. Situated in a prime area, our data recovery lab in Kochi is accessible to people coming from Alappuzha, Kochi, Kannur, Kozhikode, Thiruvananthapuram, Kollam. We cater to about 100+ cases of data recovery per month and 3+ cases per day on an average. Our team can cater from elementary to complex cases such as recovering formatted drives, deleted photos, SSD recovery, RAID recovery to Servers. We started our operation in the year 2013, and since then, have been providing data recovery services here with an undiluted success rate of 95%. Our recovery centers house expert specialists and the use of advanced techniques of data recovery for upto 100%. In most cases, we are able to recover almost all your lost/deleted/formatted/not accessible data. 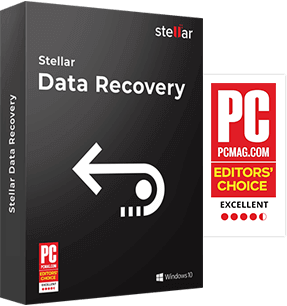 A lot of local Stores offer services in recovering data from any media or failure, but none has the accuracy and the capability of Stellar. 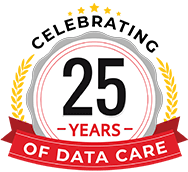 Being an ISO 9001:2015 & ISO/IEC 27001:2013 certified company and with an experience of 23+ years in the field of data recovery, its excellence is unmatched and incomparable. 5/5 March 23, 2019 Thanks to Stellar for retrieving all my data. 5/5 March 23, 2019 Got all my corrupted files. I will recommend Stellar in future. 5/5 March 23, 2019 Recovered the complete data. Truly impressed. 5/5 March 23, 2019 STELLAR IS TRULY A LIFE SAVER. THANKS TO ENTIRE TEAM. 5/5 March 23, 2019 PROMPT SERVICE. GOT ALL THE FILES. THANKS TO STELLAR.